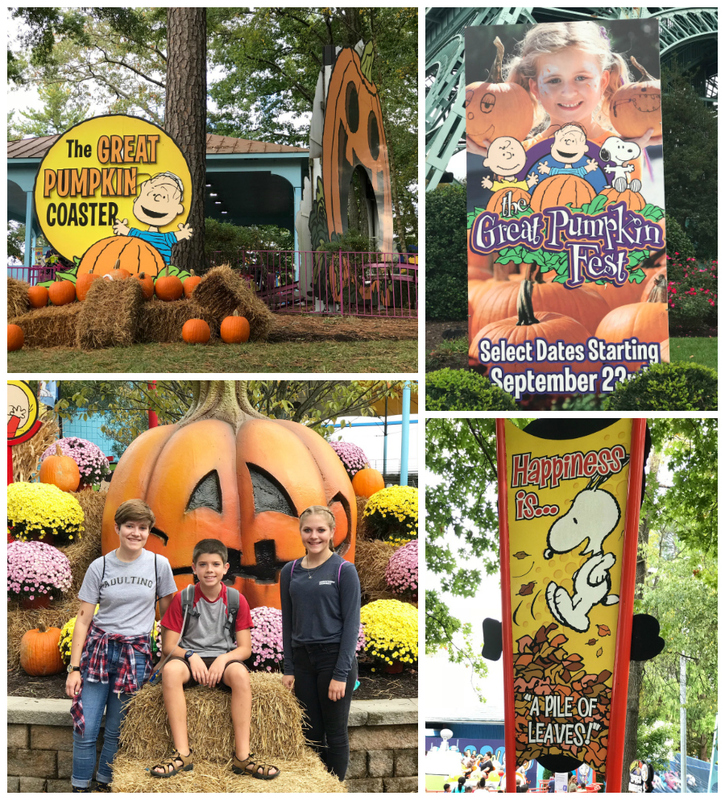 This past Saturday, three of my kids and I spent the day at Kings Dominion for the Great Pumpkin Fest. We had a BLAST! Talk about getting us in the Halloween spirit (although the weather felt a whole lot like middle of the summer!). 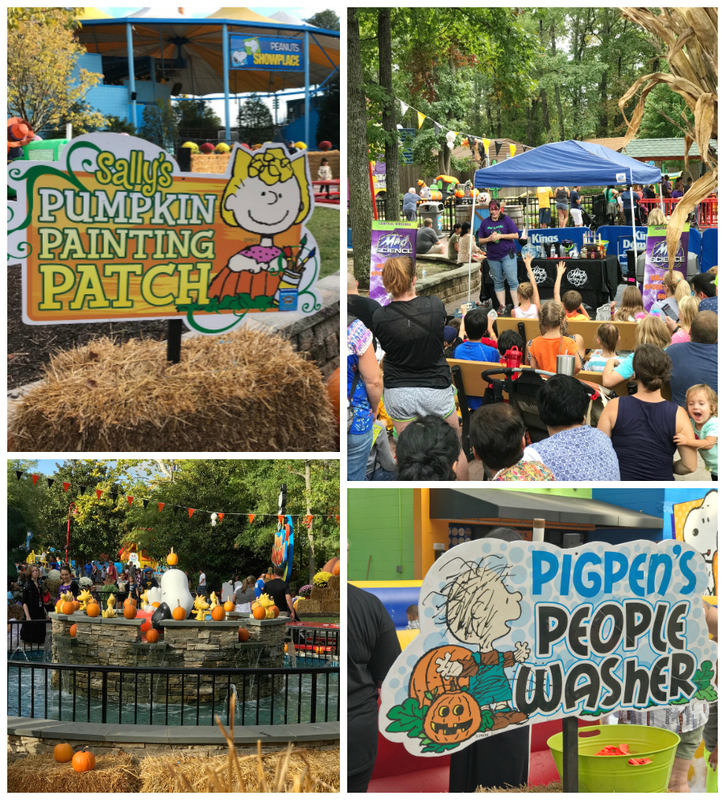 There is something for everyone and EVERY age at Kings Dominion during the month of October! Weekends starting September 23, and then September 30 to October 29 between 12:00pm and 5:00pm, the Great Pumpkin Fest is open! The Great Pumpkin Fest is a fun activity for the whole family and includes Halloween-themed live shows, Sally’s Pumpkin Painting Patch (decorate and take home a small pumpkin! ), Franklin’s Scarecrow Hollow (a kid-friendly maze), Pig Pen’s People Washer (play and splash around in a “pool” of suds! ), a petting zoo (adorable animals!! ), and so much more! Your favorite rides are open during the day, as well as the entire Planet Snoopy kids’ area. 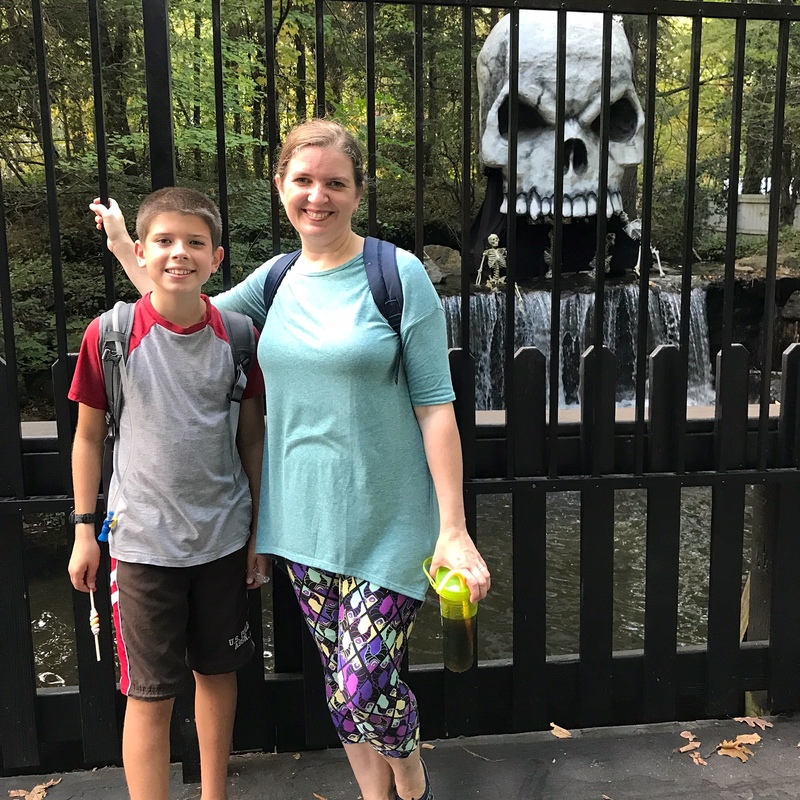 Although my kids weren’t interested in getting scared, we were all impressed with the length that Kings Dominion went to to decorate for Halloween! We stayed about 90 minutes past sunset, so we were able to experience plenty of the spooky part. We especially enjoyed the after-dark shows, like the The Grave Walkers (a family-friendly wandering band with fun dancers) and the flaming torch juggler. Be Scare-Proof with the No-Boo Necklace! 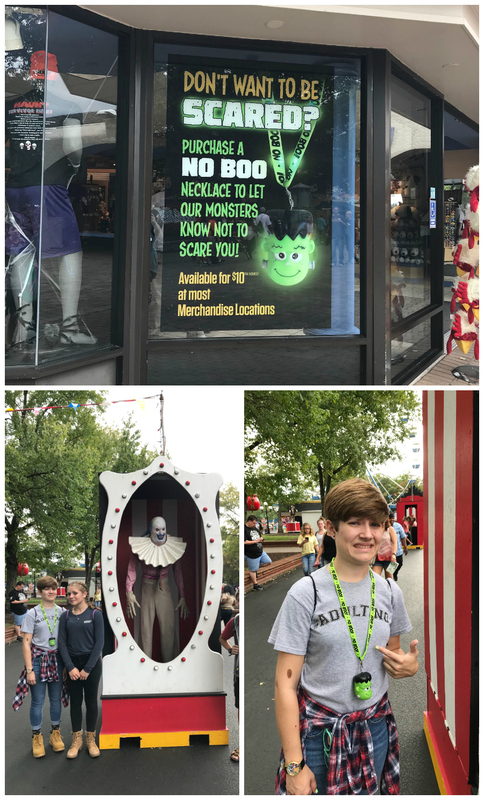 My 18-year-old was nervous about being scared by costumed monsters while walking around the park, so she purchased one of the No-Boo glowing necklaces and wore it proudly all day. The no-boo necklace worked like a charm once the sun went down and the monsters came out! Don’t worry about your little ones if you plan to stay in Planet Snoopy. Everything in the kids’ area is fun and kid-friendly and not scary at all. For adults and teens, Kings Dominion goes ALL OUT for their Halloween HAUNT. 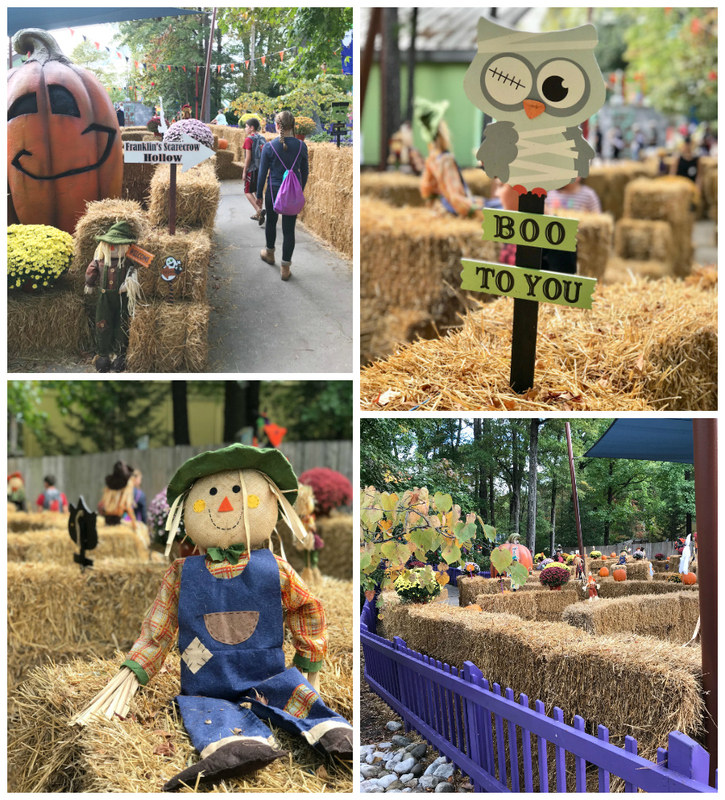 From costumed “monsters” wandering the park to fog machines to spooky shows, mazes, haunted houses, and rides converted to Halloween themes, there is something for every level of Halloween fan! Here’s a little of what you can expect: Start your night of fright at the Overlord’s Resurrection, where monsters will be unleashed into the park and out of your worst nightmares. Guests who are brave enough can enjoy eight mazes, five scare zones plus several live shows. If that isn’t enough fun, get your thrill fix on more than 20 rides, including Intimidator™ 305, as fog and darkness blanket the park. Test your limits and experience fear beyond your worst nightmares with 5 all-new Skeleton Key rooms exclusive with Fright Lane. You’ll face extra terror as you unlock exclusive chambers and complete sinister tasks in order to escape. This looks like such an amazing time and so many activities to participate in. I wish we had something like this Great Pumpkin Fest where I live. This place looks perfect for families! Thanks for sharing about it! 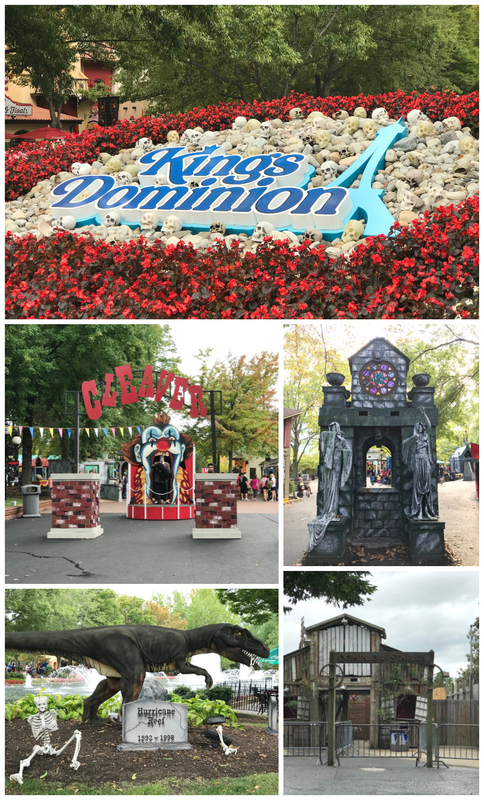 My kids would got nuts over seeing the Pumpkin Fest at Kings Dominion! What a really fun place to go! This place looks like so much fun! 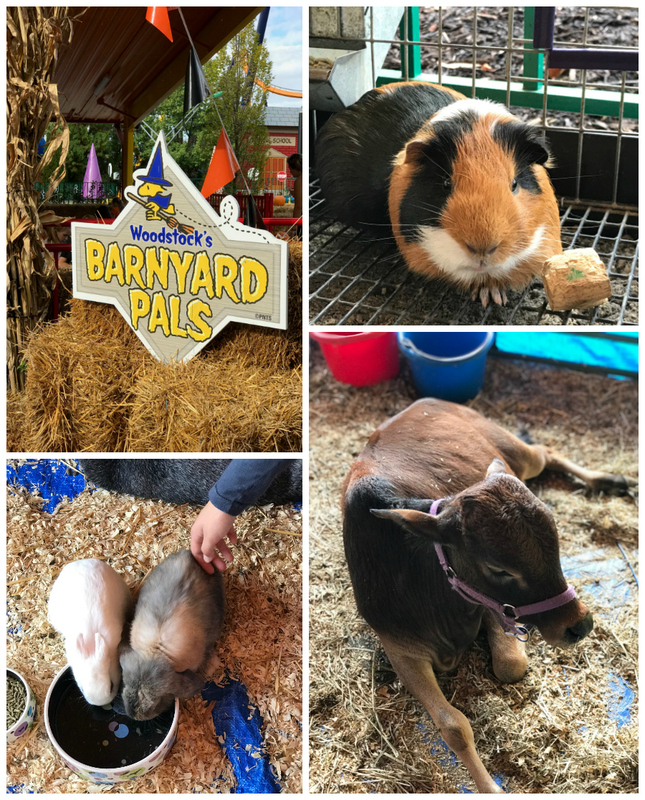 My grandsons would love to see the Barnyard Pals! Adorable!